NASA and its mission partners have analyzed and approved an extended launch window for Parker Solar Probe until Aug. 23, 2018 (previously Aug. 19). The spacecraft is scheduled to launch no earlier than Aug. 11, 2018, at 3:48 a.m. with a window of 45 minutes. 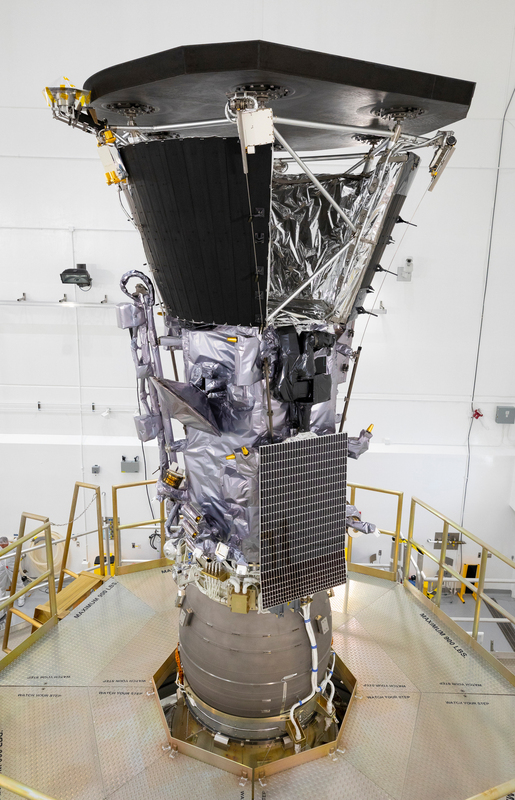 Parker Solar Probe will launch from Space Launch Complex 37 on Cape Canaveral Air Force Station in Florida on a United Launch Alliance Delta IV Heavy rocket. Parker Solar Probe, attached to its third stage rocket motor.